What are the Symptoms of FIA? How can FIA be Prevented? What is the Outlook for Affected Cats? Feline Infectious Anaemia (FIA) is caused by a single celled organism called Haemobartonella felis, (H. felis, previously known as Eperythrozoon felis). This organism attaches itself to red blood cells, and is neither a bacteria, virus or protozoa, (a protozoa is a single celled animal). This is a disease whose symptoms are largely as a result of a shortened life span of the red blood cell, which in turn leads to a fall in the number of red cells circulating. This is called anaemia, and if severe enough will result in a noticeable paleness to the mouth and conjunctiva. (The conjunctiva is the pink membrane that surrounds the eye). H. felis attaches loosely to the membrane of a red blood cell, but does not penetrate it. However, on passing through the liver and spleen, the infected red cell is removed from the circulation and destroyed. It is not absolutely clear if the parasite is also destroyed by this process, or if it is able to move onto a new red cell. Over time these symptoms progress to weight loss, and in the more severe cases, the cat can become jaundiced. Jaundice is easiest to see in the whites of the eyes, which take on a characteristic yellow discolouration. It is caused by the build up of waste blood pigments in the body. The spleen may become enlarged, which is often detected by feeling the cat’s abdomen, or by x-ray. The breathing may become faster and deeper, as the cat tries to compensate for a reduction in the oxygen carrying capacity of the blood. There is a lot still to be discovered about the transmission of H. felis. The current theory is that it may be transmitted by biting insects, especially fleas. It is also thought likely that transmission from mother to kitten can occur before birth. The situation is complicated by the fact that a high proportion of infected cats can carry the infection without showing any signs of ill health, and as discussed below, the absolute diagnosis of the condition is not easy. Another possible route of infection is from bites sustained during fighting. The definitive diagnosis of this condition is quite important as it has serious implications for the long-term health of the cat. 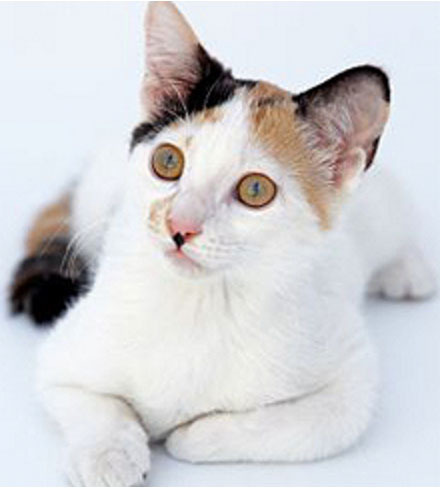 Most cats with FIA are noticeably pale on the first examination by a veterinary surgeon. Under these circumstances a blood test is essential to discover the underlying cause, because there are many possible causes of anaemia. At this stage, the most appropriate tests are for haematology (which counts the number of each different types of blood cell), feline leukaemia virus (FeLV), and feline immunodeficiency virus (FIV), (similar to HIV in man). Both of these viruses can cause anaemia on their own, and are more common than H. felis. It is also possible to be infected with FeLV and/or FIV at the same time as H. felis. In these circumstances, the anaemia is likely to be much more severe than with either agent alone, and the outlook is much poorer. In the case of haematology, most cats will show a picture of an anaemia that is trying to regenerate itself. This means that more immature red blood cells are found in the circulation than normal; (this is not the case for all types of anaemia). In a few cases, when the pathologist examines a film of blood on a slide, the parasite itself may be seen. However, this is quite rarely the case, because special staining techniques are usually required to demonstrate the organism, and it is only quite loosely attached to the red cells. Consequently, by the time the blood is examined, the parasites may have all disappeared/disintegrated. In this case, if we suspect H. felis, a further sample may have to be examined. This is one that must to be specially prepared by making a thin smear on a glass slide immediately the blood is taken, followed by the use of special staining techniques that show the organism better than the routine techniques used to look at the blood cells themselves. Despite all this, no matter how well the sample is prepared for analysis, and no matter how good the pathologist is at detecting the organism on the red cells, up to 50% of cats that are infected with H. felis will be falsely negative. This is because the number of parasites present in the blood varies with time in any individual. A high proportion of cats infected with H. felis will show no symptoms. It is vital, where this organism has been detected, to look for some other contributory cause to the anaemia, such as FeLV and FIV. The latest research into H. felis has demonstrated the presence of two distinct strains of the disease, designated small and large, and a cat can be infected with either or both types. It is currently believed that only the large form of the organism actually causes disease. Cats experimentally infected with the small form, rarely develop any symptoms. Differentiating between the two types of the disease is currently a very specialised task, and although blood tests have been developed, they are not widely available. Given time, this blood test should eliminate the problems with physical examination of a blood smear to diagnose the disease. Although H. felis is not a bacteria, it is susceptible to a number of antibiotics. The most commonly used drugs are the tetracyclines: doxycycline and oxytetracycline. This is the currently accepted standard treatment for FIA. Doxycycline is well tolerated by cats, rare side-effects being vomiting and diarrhoea. Permanent tooth staining in young kittens is also possible, though much less likely than with oxytetracycline. Do not give doxycycline with any dairy products as the drug can become inactivated. Duration of treatment is 2-6 weeks. This drug is related to doxycycline, is a little cheaper, but generally less effective. Permanent tooth staining in young kittens is possible, and much more likely than with doxycycline. In adults, side-effects are uncommon, but can include vomiting, diarrhoea, lethargy and loss of appetite. As with doxycycline, do not give oxytetracycline with any dairy products as the drug can become inactivated. Duration of treatment is 3-6 weeks. An alternative to the tetracyclines listed above, enrofloxacin can be successful in treating FIA. It should not be used in kittens under 8 weeks of age as it can cause erosion of joint cartilage, although in respect of FIA, this is unlikely to be a problem. Duration of treatment is 10 days. With all the above treatments, relapse is common even after an apparent cure. Some cats develop an immune mediated component to the disease. This means that antibodies are produced against the red blood cell itself, and even normal red cells are destroyed. In this case an immunosuppressant drug needs to be given in addition to the antibiotics. The most commonly used drug for this purpose is prednisolone. This is a steroid hormone with a wide range of effects. It will often cause an increase in appetite and thirst, although cats tolerate steroids very well, especially for the short duration of treatment that is used in this instance. The exact mode of transmission of H. felis is not known. Fleas are strongly suspected as being the main method of transmission, and it is therefore essential that all cats that may come into contact with fleas, or other cats that have fleas, are treated with an effective preparation to prevent infestation. In the UK, this practically means any cat that goes outdoors, or that lives with another cat that goes outdoors, should be treated for fleas regularly. Flea prevention is discussed fully on the flea page. Flea collars are not an effective means of flea control. It is also important to keep infected cats away from non-infected ones. There are two main scenarios here. In the case of cats co-infected with FeLV/FIV and H. felis, the outlook is very poor. Treatment with the antibiotics mentioned above may help in the short term, but if the cat is severely anaemic, with a poor quality of life, then euthanasia may be the best option. In the case of cats infected with H. felis alone, the outlook is very much better. Most cases will respond to treatment very satisfactorily, although the possibility of a relapse some time in the future is very real.